Hello, bookers! 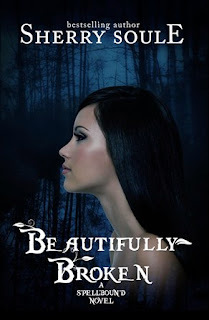 I have Sherry Soule on the blog today discussing her Spellbound series! Not only will she be sharing a super awesome playlist, but she'll also give some info on changes in the books, so check it out! All the previously published books in the series have been completely revamped with more epic romance, sizzling character chemistry, and thrilling new scenes! The revised novels also include exclusive bonus material. To help promote the new editions, Sherry is doing this awesome guest post to share the update with fellow booklovers! The Spellbound series is a great mix of Pretty Little Lairs meets Buffy, the Vampire Slayer! Both of the star-crossed lovers are big music lovers, so there are numerous songs and bands mentioned throughout the series, like 30 Seconds to Mars and Rise Against. The main character, Shiloh, even has a black painted wall in her bedroom covered with random poems, song lyrics, and cutouts from fashion magazines. Her iPod is always on and playing softly in the background. So, Sherry has put together a few of the awesome songs—a collection of her character’s electric tastes in music—mentioned throughout this popular series in this post. Enjoy! 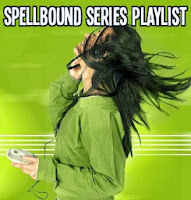 Well, that about encompasses the wide range of different songs and bands mentioned in this spellbinding new YA series. Hope you enjoyed the post! Sherry Soule lives with her family and one very spoiled black cat in the San Francisco Bay Area. She is the bestselling author of the paranormal romance novel, "Immortal Eclipse" and the popular YA series: Spellbound. 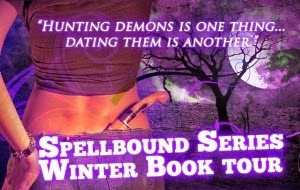 She writes thrilling tales of romance and suspense, often mingled with a dash of the paranormal.